On April 26, 1967 promoter Ed Francis presented a wrestling card at the Honolulu International Center Arena which featured a triple main event, each for a championship. Also on the card were three other matches billed as special events. In the match billed as a Battle of the Man Fridays, Beauregarde defeated Harry Fujiwara. In a judo jacket match-freestyle handicap match, Karl Gotch won over Kongozan. 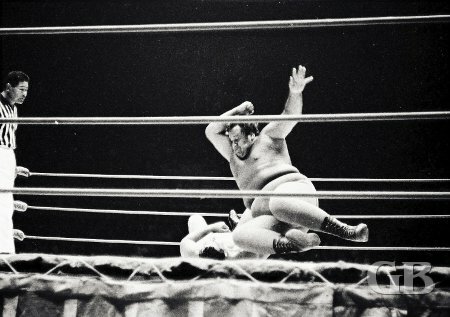 In the special Judo match, Karl Gotch uses his judo belt to dispatch Kongozan. Paul Diamond applies a punishing arm bar onto Ripper Collins. 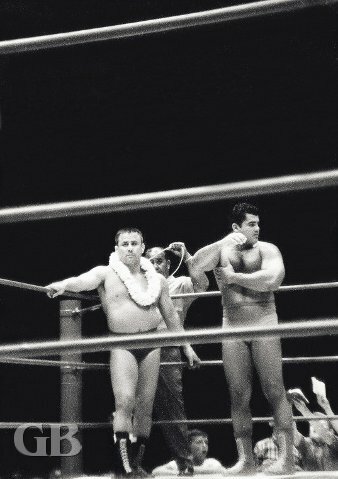 In the first main event, Johnny Barend and Hans Mortier retained their Hawaiian Tag Team title by going to a draw with Pepper Gomez and Pedro Morales. Pepper Gomez and Pedro Morales. 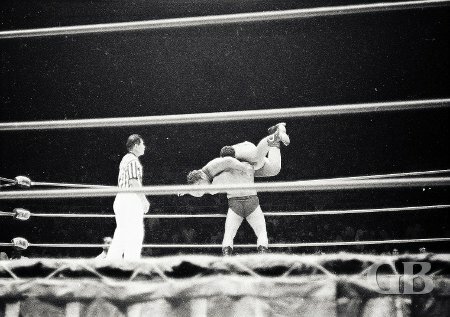 Pedro Morales chairs Hans Mortier. 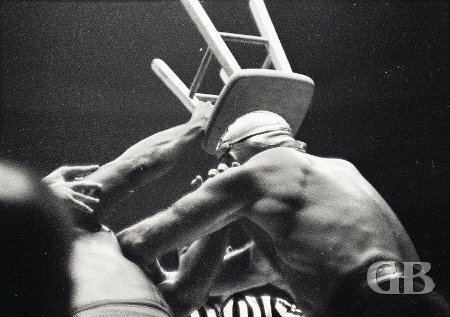 Pepper Gomez tries to remove Hans Mortier's headgear. The next match was to be a rematch for the World Tag Team Championship with champions Cyclone Negra and The Mongolian Stomper giving Ray Stevens and Pat Patterson a rematch for the tag team crown they lifted from the blond bombers a month earlier. However, Patterson was unable to appear that night and Ripper Collins substituted for him. The result of the match was that Negra and The Mongolian Stomper were awarded the decision over Collins and Stevens. Cyclone Negra and the Mongolian Stomper, defending World's Tag Team Champions. Ray Stevens and substitute partner Ripper Collins talk strategy over a downed Cyclone Negra. The Mongolian Stomper stretches to tag his partner Cyclone Negra. The last match for the evening had Hawaii's own Curtis Iaukea putting his United States Championship on the line against Jim Hady of Detroit. Iaukea took two out of three falls from Hady to retain his title. Curtis Iaukea shakes off a stunned Jim Hady. Curtis Iaukea delivers the flying elbow drop onto Jim Hady. 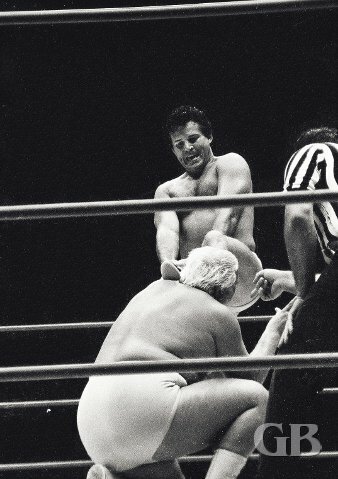 Curtis Iaukea grabs onto the ropes just as Jim Hady is about to body slam him.